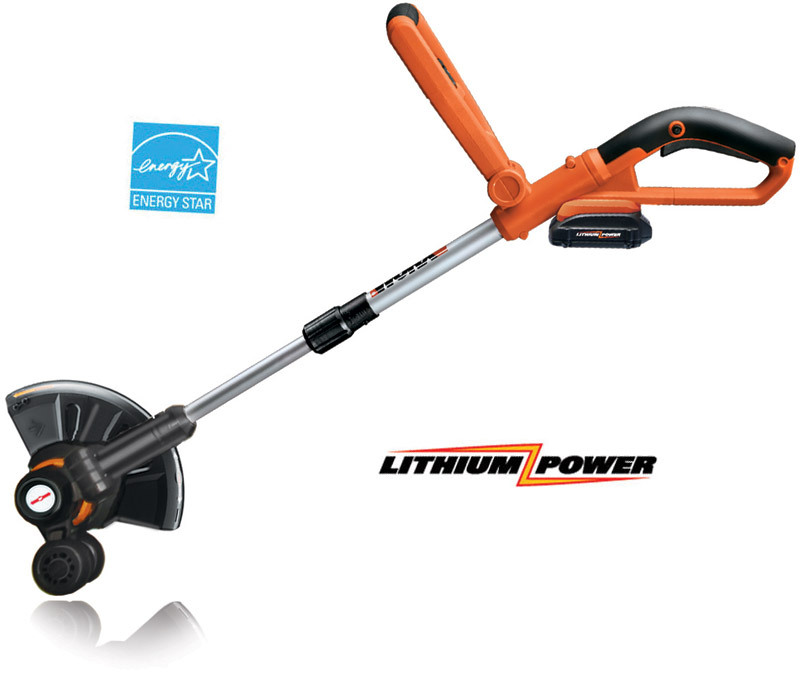 A broad 14-inch cutting swath and a powerful five Amp electric motor help the Black & Decker Grass Hog GH600 Electric String Trimmer and Edger make edging, trimming, and weed eating easy tasks to handle. It features a Groom'N'Edge head that can be rotated 180-degrees for quick switches between cutting and edging tasks along with Black & Decker's Automatic Feed Spool (AFS) system, which uses centrifugal force to dispense more line whenever you need it for added predictability and dependability--no bumping required. Also offering the simplicity of electric startups and weighing in at just 5.2 pounds, it's a machine that is incredibly easy to handle, and you won't have to contend with the strain that repeated pull starts and heavier tools can put on your body. Other convenient design elements include a flip-down edge guide, four-position height adjustment, and an adjustable auxiliary handle for a customizable experience and improved comfort. Corded power means work is never brought to a standstill by a dead battery or an empty gas tank, and a patented cord-lock system prevents accidental extension cord disconnections while you work. This tool is backed by a limited 2-year warranty. In-line edging: Convert the GT trimmer into a walk-behind edger and vice-versa in a matter of seconds. Protection included: An adjustable spacer guard protects plants, flowers and garden furniture from damage while trimming. 90-degree tilting shaft orients the cutting head for sloped and hard-to-reach areas. 100% automatic single-line feed for best cutting performance. Lithium-ion battery technology: long life, no self discharge, light weight and no memory effect. Lithium Power batteries are 40 percent lighter than equivalent Ni-Cd Batteries. View larger. Lithium batteries' unique chemistry provides up to three times longer life. View larger. The ErgoSum Design includes height-adjustable handles and soft grips for optimum comfort. View larger. The adjustable the front handle allows easy trimming under low-lying objects. View more features. The Worx Cordless Trimmer/Edger is powered by an efficient, lightweight, rechargeable 18-volt Lithium Ion battery pack, which delivers plenty of power without the added cost of gas, the hassle of extension cords, or the pollution associated with gas-powered alternatives. The WORX lithium battery packs are exceptionally lightweight and provide 3 times the useable life of standard Ni-Cd batteries. The battery pack will even work with your other WORX Lithium Power Share tools; just swap it out when you're ready to move on to the next job. When you're not using the WorxGT, it stows out of the way with the included wall mount. The battery charges in approximately 1/2 hour! The Worx Cordless Trimmer/Edger features several adjustable parts, making it as comfortable as possible to use and allowing you to garden with greater ease. It's built with ErgoSum Design Technology, so you can operate the WorxGT using a natural grip. The trimmer's front handle has multiple adjustable positions, and the rear grip is angled for maximum comfort. The shaft of the trimmer extends or retracts with a simple twist to match the height of every user and adapt to every application. The handle also pivots easily to go from trimming to edging in a matter of seconds. The head of the trimmer also pivots 90 degrees to make light work of sloped surfaces and gives you access to grass under low-lying branches. A fold-away guard and twin wheel set add protection and accuracy to give your yard a professionally manicured look. At just 5.3 pounds, it's light enough for almost anyone to use. An automatic line feed keeps the trimmer from binding up and interrupting your work, and the 10-inch cutting radius covers plenty of ground. The Worx GT 2-in-1 Cordless Lawn Trimmer/Edger is backed by a full two-year warranty. Lithium-Ion 18V Cordless 2-in-1 String Trimmer and Edger, 18-volt battery, 1/2-hour charger, tool wall mount rack, and charger wall mount rack.